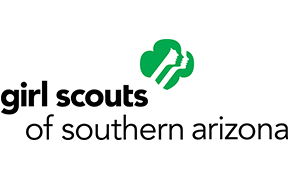 The Girl Scouts of Southern Arizona’s Social Impact Program is focused on opening the doors of access and opportunity for everyone, by providing girls with opportunities that promote self-reliance, respect for others, and a sense of belonging and leadership skills to last a lifetime. We serve thousands of girls with free programming led by specially trained college-aged female leaders. Program activities focus on hands-on experiential learning surrounding topics such as: STEM, outdoor experiences, life skills development, service learning projects, self-esteem building, financial literacy, educational excursions, career exploration and building sisterhood. We provide preventative strategies for success in school and life and empower girls to reach their full potential as girls of courage, character and confidence.